The phone sports humble specifications which don’t match the Android competition at this price range. ZTE Open sports a 3.5 Inch Display with 320 x 480 pixel resolution which is apt for the screen size and will give you pixel density of 166 pixels per inches. Firefox O.S. is Linux based and all the apps running on this O.S. will be HTML5 based. This implies , by not using the native code(android, iOs, Windows platform use native codes for apps and thus apps from one platform won’t work on another) and using broader platforms like HTML 5 for Apps, Mozilla is aiming at a wider App eco-system where Apps can work on multiple platforms. The new OS has a basic interface and it has a very long journey to travel before it comes at par with Android, iOS and even Windows phone platform. The basic OS lacks support for various popular apps and each app is more or less like a website based on HTML 5 platform. The phone will be powered by 1 GHz Snapdragon processor based on Cortex A5 architecture which is pretty much obsolete. The RAM is 256 MB and internal storage is 512 MB and can be further extended to 32 GB. Only one camera is present on the back with a 3.5 MP sensor and this phone supports 3G connectivity. 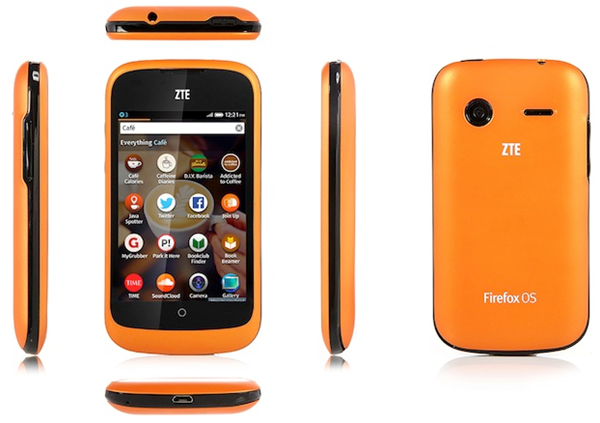 The battery capacity is 1200 mAh and this phone will accept a mini SIM. The idea of HTML 5 apps isn’t very appealing but it is too soon to comment on that. These apps would be light on your system and wont tax resources much. You can get better experience and hardware specs from other Android counterparts in this price range like Spice Stellar Glamour or Xolo A500S, but it does mark the arrival of FireFox O.S. in India.